Besides Chilies, BBM also deals in processing and export of turmeric, turmeric extracts, sunflower and soya by-products. BBM extracts, processes and trades in an effective range of natural antioxidants from Sunflower and Soybean oil called tocopherols that are increasingly used in the health foods and dietary supplement, innovative nutri-cosmetics, personal care, sports nutrition and wellness industries today. Sunflower tocopherols are used both in food applications and in cosmetic formulations due to its high content of Alpha-Tocopherol (Vitamin E Natural). Sunflower Tocopherols are naturally mixed, and these Natural Anti Oxidants find a huge benefit in the Food sector as additives in the Bakery business and in the Cosmetic industry to enrich skin care in the form of creams and lotions. 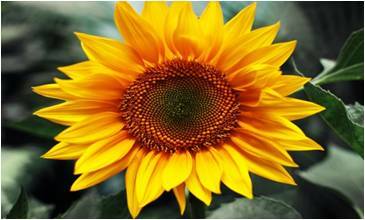 The fatty acids of sunflower are used in the soap and paint industry. BBM provides Sunflower tocopherols under various purities ranging from 10% - 70% - as per the customers' requirements. Soya bean is classified under two categories - Non GMO and GMO. All soy bean crops grown in India are non-genetically modified, while much of the soybeans available across the globe apart from India is termed as GMO. BBM offers Tocopherols extracted from Non GMO soya bean that commands a higher price as compared to the GMO Tocopherols. 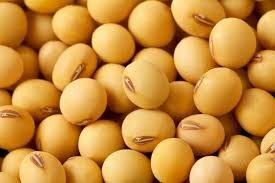 Soya bean Tocopherols have high Gamma Tocopherol content. Gamma tocopherols being anti-oxidant help athletes speed up glycogen synthesis and has strong anti-inflammatory effects. Its applications vary based on the purity - the low grade tocopherols find use in the Bakery and Confectionery products, medium level are preferred in the Pet Food industry and the high purity tocopherols are applied in the burgeoning Beauty industry, especially for skin care products. Apart from Tocopherols, the other natural ingredients extracted from Soya bean are Lecithin. Soy lecithin, a food additive is found in dietary supplements, used in the confectionery industry for ice creams and in dairy products, infant formulas, breads, margarine, and other convenience foods. It is also used as an antioxidant and flavor protector. Lecithin also regulates kidney, liver and gall bladder functions. Other acid oils are used in paint and soap industries. - Turmeric extracts, Curcumin, Pepper and Ginger extracts, Vanilla Extracts, Lutein and Lycopene Green Tea extract etc. - The products come with the basic specs along with Certificate of Analysis. - Samples will be provided as and when necessary with specific lead times and pricing. - All the products are extracted through Super Critical Fluid extractions and with the highest form of purity. - We are in the business to helping customers develop products to meet the exacting demands of consumers.